All eyes were on Santiago last night to see the names of the restaurants appearing in the latest edition of the French gastronomy bible. No change at the top – Spain is still home to 8 establishments with 3 stars (Akelarre, Arzak, Azurmendi, El Celler de Can Roca, DiverXO, Martín Berasategui, Quique Dacosta and Sant Pau). But we now have 23 kitchens with 2-stars and 157 kitchens with 1 star. One-star: Kabuki Raw (Casares, Málaga); Sollo (Fuengirola, Málaga); Messina (Marbella); Acanthum (Huelva); Disfrutar (Barcelona); Hoja Santa (Barcelona); Tresmacarrons (El Masnou, Barcelona); Emporium (Castelló d’Empúries, Girona); El Ermitaño (Benavente, Zamora); Villena (Segovia); El Rincón de Juan Carlos (Los Gigantes, Tenerife); Zarate (Bilbao); Lúa (Madrid) and finally Casa Marcelo (Santiago de Compostela). Two-stars: Zaranda, Es Capdellà, Mallorca and the three generation run Coque in Humanes, Madrid. Since we found out the names, we’ve been super busy incorporating these new additions into our programs as many of our clients like to take in a couple of top-end eateries when travelling around. And there’s always a wonderful buzz at a restaurant that has just been included on this hallowed list. As it has in the past, Catalonia continues to boast the most Michelin stars and the Basque Country still wins when it comes to the number of three-star kitchens. The Spanish press is also reporting the curious case of Casa Marcelo in Santiago de Compostela. Chef Marcelo Tejedor was awarded a star this year. He first won a star back in 2004 which he lost in 2010, then won it back the next year and lost it again a year later. He closed his high-end restaurant in 2013 and opened a gastrobar which offers a fusion of Galician, Japanese and Peruvian flavours. And it seems the judges liked it! We’ve enjoyed sifting through all the winners this morning and picking out ones we’ve most enjoyed or will enjoy sending our clients to. One of the first we’ll be including in our packages is Madrid’s Coque which is located 30 mins from the city centre. Mario Sandoval is the man in charge of the kitchen and he is well known in gastronomy circles here. The standard tasting menu is dazzling (as you can see in the video above – it’s a very elaborate affair) and we are equally fascinated by Sandoval’s ‘archaeology’ menu. Sandoval champions what he calls “flavour archeology” which is recovering forgotten flavours and tastes with the help of archaeologists and historians. The restaurant presents the results of this research in its archaeology tasting menu. How does ravioli made from hare sound? Or a line-caught squid served in Masala? And our favourite – the sea urchin with a bean puree served spicy cod roe? Not sure? If you feel like simpler fare, just see what Mario does with a hamburger here – the recipes are certainly easier to recreate at home and the ingredients will be much easier to source, that’s for sure! If you’ve been to a Michelin-star restaurant you know why these spaces are so special. Over our 15 years in business, we’ve long sung the praises of Spain’s Michelin chefs and love to receive such positive feedback from our clients who are often used to paying US and UK prices and are bowled over by the value available here in Spain. Interested in tasting some Michelin-star food in Spain? We’ve organised many Michelin star themed-programmes including Michelin Stars near UNESCO Treasures, Michelin Restaurants in Top Spanish Hotels, Michelin Restaurants in Historical Properties and Scenic Locations, and finally our Affordable Tour of Spanish Michelin Restaurants – which is a self-drive tour of some of the off-the-beaten-track kitchens that are well worth a visit. 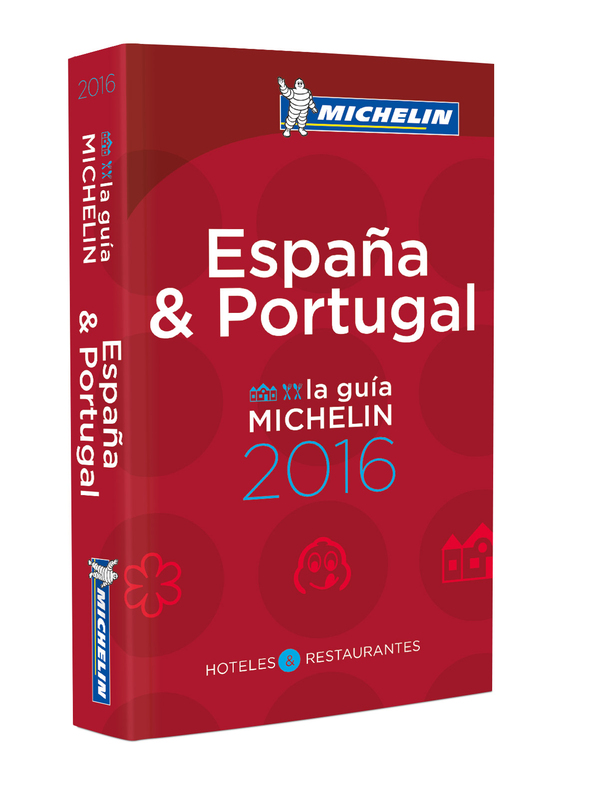 Posted in Entertainment, Food & Drink and tagged awards, chefs, cuisine, gastronomy, Guide, kitchens, Michelin, reviews, Spain, stars.